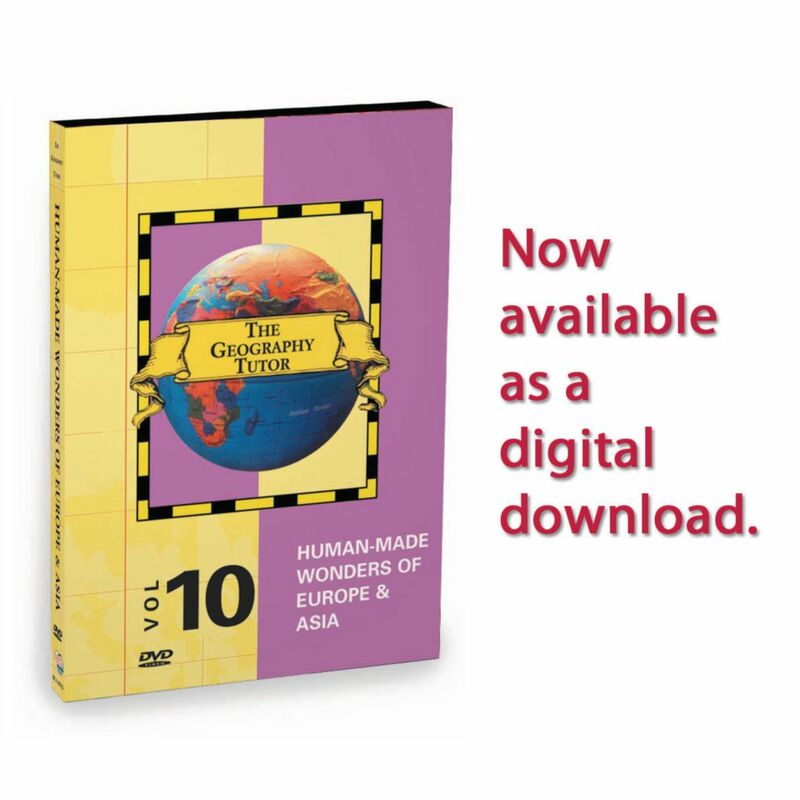 The Geography Tutor series targets specific and critical areas of geographic knowledge and provides students with an easy to understand visual presentation of the world around us. The format allows for classroom useage and student tutorial. This program visits the Roman Coliseum, Acropolis, Jerusalem, the "Forbidden City", Taj Mahal, Eiffel Tower, Western Wall, Notre Dam Cathedral, Stonehenge, the Tower of London, The Louvre and more. It asks questions such as: What is a megalith? Why was the Eiffel Tower built? What does the acropolis mean? What makes Jerusalem sacred? Why was the Taj Mahal built?